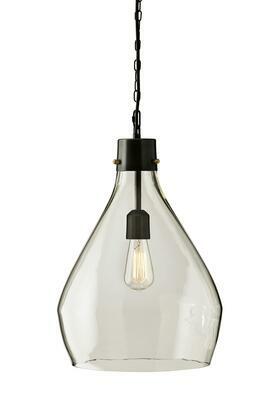 Contemporary style with an organic twist, this transitional pendant light with a rich matte black finish and a flat clear teardrop shaped watered glass dome is the perfect lighting accent in your kitchen, dining or bedroom. From the front view it is a teardrop shape from the side it is only 4" wide and flat with matte black accents. The Armin fixture family is the perfect accent piece for any outdoor space. Weathered steel finish accentuates the elegant clear water glass cylinder. This design enhances traditional and vintage industrial style exteriors with decorative brightness. Coordinate with the matching Armin wall fixture. 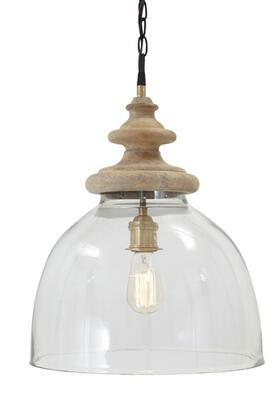 For an energy-saving light source we recommend using a Westinghouse filament LED ST20 light bulb. 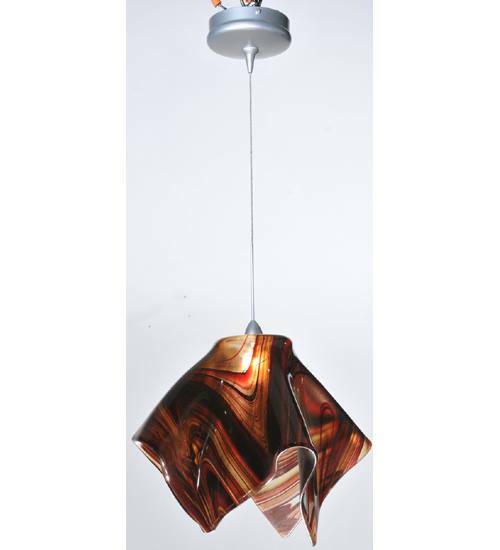 Hang this attractive pendant in a front or back entryway on a porch deck or patio. Dimensions: 16.14 x 9.25 x 9.25 in.